I'm getting quite a few questions bout how I'm going with Bloodhound. This is a Flobot that I use in the European mornings on the DAX. As you can see, its all outside in trades which work well on the DAX as it overshoots a lot. 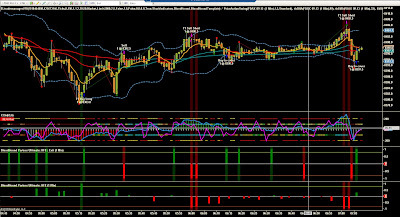 You can see the ENTRY and EXIT signals generated by Flo in the Hound as well as how those signals are executed using my autotrader in Ninjatrader. Same Flobot works on a number of markets and periodicities. I've got a few new guys doing the Flo Algo Training and I'll be sharing this and other logic with them. 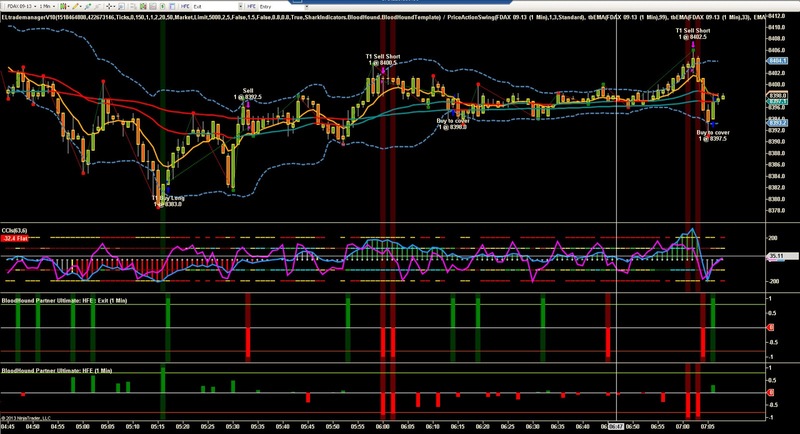 I'm also using my MultiCharts for longer term trades and for strategies I haven't ported over to Bloodhound yet. If you want to see more on Bloodhound, use the link on this page.